Horoscopes are generalized readings based on either Sun or rising sign. If you know your rising sign (also known as the Ascendant) your horoscope may be more accurate. However, you should read for both and see which one resonates best for you. It's important to realize that horoscopes cannot possibly provide as much detail or accuracy as a reading of your natal horoscope (based on the time and location of birth), but they are useful for understanding the general influences of current planetary cycles. If you know your birth time, you can quickly look up your rising sign using this handy Ascendant calculator. November sets the stage for a new adventure, even if you don't feel the full presence or momentum of it yet. The new year, that is, the first day of 2019 is going to take you full throttle, and your ambitions will be exceedingly higher. Jupiter entering Sagittarius this month is the main ingredient that sets off your wild and courageous side for the next year. Expanded travel opportunities are one likely side-effect, but any experience that raises your consciousness and worldly perception will be more readily within reach. Yes, Uranus dips back into your sign this month until March of next year, which helps you further refine the revolution of your style and willpower. But as mentioned, the new year is when the full momentum takes hold. Mars finally leaves Aquarius this month on Nov. 15 and shifts into Pisces, a transit that is going to draw most of your enthusiasm and vitality behind the scenes until the end of Dec. It may feel like a slog through murky waters and some slight obstacles in manifesting your ideals. But the next two months offer some introspective bliss and an escape from the crowds, which just might come as a relief after the more common surge of Mars in Aquarius. Take this time to recharge and gather your momentum for the bigger journey that lies ahead. The Full Moon in Gemini Nov. 22 catalyzes a rapid, perceptual shift, and while it may feel counter-intuitive to take a step back, you'll gain more insights the more you unplug and relax into it. November is just as interesting as October, only likely a little easier to navigate. Your ruler Venus retrograde in your opposing sign has probably felt like an awkward adjustment, or you've quite literally found yourself in the position of having to put yourself in some uncomfortable positions for the sake of growth and change. More than any other cycle, this Venus retrograde is synchronizing with a significant shift in various partnerships, a critical revaluing of essential bonds and connections. As November begins, Venus is back in Libra, and far more auspicious for getting what you want this month, especially during Venus' direct station on Nov. 16. The New Moon in Scorpio is a relationship restart and reimagining, a moment of increased clarity and lucidity regarding a friendship or other intimate bond. Jupiter enters Sagittarius Nov. 8, which begins an auspicious cycle for augmenting mutual/shared resource situations, loan/credit acquisition, and yes, intimacy. You can overdo it with Jupiter in Sagittarius, so be careful how much advantage you take of your luck or with whom you entrust your vulnerability next year. As mentioned, Venus stations direct Nov. 16, but hands over to Mercury's retrograde cycle the same day. Mercury retro tip: before borrowing hefty amounts or merging assets in a new relationship, use the next three weeks to think it through and ponder all the ramifications. While enthusiasm is high, you may need to articulate the logistics carefully. November is your Full Moon month, so there is that rising tide of energy surge and empowerment of self-image this month. But the main event is Jupiter entering Sagittarius on Nov. 8, which is a helpful cycle for resolving relational conflicts or for putting yourself out there. Dating, marketing, and various negotiations should flow well the next year, but you'll need to be cautious about any too-good-to-be-true arrangements, offers, or relational entanglements. Idealism regarding certain partnerships runs exceedingly high from now on, and that also relates to a synchronized opening of new doors to valuable connections. While Venus' retrograde cycle through the bulk of last month may have correlated with some job/daily workflow adjustments and turning points, November's Venus retrograde in Libra is a beautiful, creative, and playful elevation. Venus' direct station on Nov. 16 transitions exactly with your ruler Mercury's retrograde cycle in Sagittarius. Yes, the next three weeks can give you some pause and careful consideration of a relationship even though you may be feeling especially enthusiastic. One major challenge of this Mercury retrograde cycle that you need to contend with an is an alternate reality, or another's point of view. Keeping your ego in check this month (despite a tendency to inflame or exaggerate alongside the Full Moon) can help you open yourself to a new or alternate perspective, enriching your understanding and humility. One major high point: Mercury's conjunction with Jupiter Nov. 27 can be a major make it or break it leap in self-promotion or a dating narrative, though it veers on the side of positive. Last month's Venus retrograde portion was notably smooth for you. In fellow water sign Scorpio, there's a synchronistic synergy which likely opened the way for romantic or creative musing. This month, with Venus back in Libra, there can be some helpful or positive changes in your family/home life situation. Venus in Libra can deepen family connections or make personal breakthroughs more palpable this month. Jupiter enters its home sign Sagittarius on Nov. 8, following the New Moon in Scorpio. The New Moon can relate to fresh creative/visionary unfoldings or increased idealism in a dating situation, opening the way for new sexual/romantic possibilities. Jupiter in Sagittarius synchronizes with a year of potential increased job/workflow performance and opportunities. This is an especially auspicious Jupiter, and if you need to bolster your reach of service or augment a health situation, the next year can be constructive. Venus' direct station Nov. 16 puts increased focus on deepening intimate connections or building bridges to your inner life. But a simultaneous transition from Venus' to Mercury's retrograde cycle occurs mid-Nov. The following three weeks of Mercury retrograde can help you rethink or make adjustments to a job situation or health routine. Yes, Jupiter's presence creates an optimistic boost in productivity this month or can stoke dissatisfaction with any unfulfilling work/daily routine. Utilize the last two weeks of Nov. to reconsider your options and make critical revisions. Fresh moves will be possible just beyond the New Moon Dec. 6. Mars through Aquarius since mid-May has likely been a tense period of extra conflict and boundary making in various relational contexts. Compromise and negotiation have probably been tough, but hopefully, its strengthened your understanding of who you are as well as where others stand. Mars moves on this month, entering Pisces on Nov. 15. Mars in Pisces will be equally intense but will be over by the new year. Anticipate some difficulties over joint financial arrangements, but also an opportunity to more clearly define resource responsibilities. Jupiter enters Sagittarius following a very deep and introspective New Moon Nov. 7/8. The New Moon in Scorpio can correlate with new elements added to your inner and domestic space. The New Moon can feel exceptionally introverted and more inward than any lunation of the year, so don't deny yourself time to lay low and recharge if needed. Sinking deep, even indulging in some reclusiveness will be healthy and rewarding as the month begins. But the big event this month is larger than life Jupiter entering its home sign as mentioned. For creativity, self-expression, and sexual/romantic indulgence, Jupiter through Sagittarius is notably auspicious. Yes, you can get carried away with play & recreation the next year, so be extra mindful of how far you go in pursuit of a good time. However, you're probably in desperate need of fun and spontaneity, and you'll find plenty of opportunities to let loose from here on out. Your month begins with your ruler Mercury in Sagittarius, and thus a cycle of inward reflection and increased focus on domestic issues takes hold. However, Mercury's retrograde period this month means that you'll be experiencing some extended downtime until the early part of January. Increased communication with your family/tribe will be hallmarks of the next few months, as well as an expanded capacity to articulate psychic undercurrents and emotions. Jupiter enters Sagittarius Nov. 8. The God/Goddess of expansion and abundance will significantly benefit your inner life and home space. Greater mental awareness and exploration lie before you, as well as some positive shifts and changes in your living environment over the next year. Yes, Jupiter at the lower quadrant of your chart places your enthusiasm and adventurous spirit on the inner realms, benefiting self-discovery and family/relational bonds. The Sun enters Sagittarius alongside the Full Moon culmination on Nov. 22. Its challenge lies in finding a balance/compromise between your inner and public life. The inner front is likely to dominate most of this month and next, but this Gemini Full Moon can correlate with a breakthrough or blossoming in your professional life boosting your reputation and outreach. Lastly, Mercury retrograde conjunct Jupiter on Nov. 27 brings a positive augmentation of confidence, hope, and optimism, as well as an expanded capacity for self-understanding. Your ruler Venus' retrograde back into Libra this month gives you good impression making powers, increased charm, charisma, and attractiveness. Whatever you're doing to bolster your style and outer image is likely working, so keep it up. Venus stations direct mid-month, which might equate to more focus and attention on how you come off to others, but your Venusian powers are extra durable and magnetic in November, so use that wisely to win the right people over. Jupiter enters Sagittarius Nov. 8, following the Scorpio New Moon. The New Moon is a financial restart, planting new seeds for greater abundance, self-worth, and confidence. Jupiter through Sagittarius the next year opens the door to promising social exchanges, learning opportunities, or spontaneous trips. You will find yourself significantly expanding your knowledge base and communicative strategies, so don't limit your reach or intellectual prowess. More than any time in your life, Jupiter in Sagittarius can stoke your curiosity and take you to a new level of awareness and understanding of all topics of interest. Lastly, Mercury begins its final retrograde of 2018 this month (Nov. 16). It invites you to discard all the limitations you've placed on your mental and communicative abilities. The remainder of this month is about crossing new cognitive boundaries, rethinking/examining your beliefs, and choosing to investigate further information, even if you find it threatening. October is a month of profound personal shifts and changes. Venus is turning retrograde in your sign beginning Oct. 5 which is a chance to practice being more honest and upfront about who you are. It's likely time to bring your true self forward, which could result in a shift in personal style or the way you approach others. Venus retrograde through Scorpio is a revaluing of not only your physical appearance but how you listen to and follow your heart. If your actions haven't been synched up with your bliss, this Venus retrograde cycle can help you fall into the flow. Yes, you may consider a new look, but deeper still, you'll be experimenting with how to improve your relational skills. Authentic connections are a vital human need, and with Venus retrograde through your sign, it's time to reassess the kinds of people you attract into your life, and how they make you feel. With several planets in Scorpio for most of this month, Oct. is an essential starting point for new projects and fresh directions, especially towards the end of the month with New Venus in your sign. The Full Moon Oct. 24 can be erratic or unpredictable for a relationship, but if you need to make a clean break, or change up a predictable pattern with a friend, colleague, or lover, this Full Moon can shake things up. The main event this month is the highly anticipated transit of Jupiter into your rising sign the next year. Following a potentially reclusive and introspective New Moon Nov. 7, Jupiter into Sagittarius marks a period of bolder moves, increased confidence, and excitement about new possibilities on the horizon. The Scorpio New Moon can help you surrender, release, and make space for the new beginnings that lie ahead. Yes, big things are possible with your ruler in its home sign. You'll find yourself gradually moving beyond a more inward phase of solitude and reflection, more willing to step out, take risks, and charge into new adventures. The challenge might lie in feeling intimidated about exactly where you're headed, or what exactly you should choose. The next year of Jupiter in Sagittarius puts you more prominently in the driver's seat. As exciting and liberating as that might feel, it's also a little scary. Taking leadership of your own life adds a lot of pressure, but trust that you're ready to make some big leaps. Also in your rising sign, Mercury turns retrograde Nov. 16, beginning a three-week phase of persona or style readjustment. The next few weeks can give you the advantage of extra time to reflect and reconsider your choices and next steps. Give yourself the space to think things through and be ready for action in early Dec. Lastly, the Full Moon in Gemini Nov. 22 can bring a relational issue to a climax/culmination, putting greater emphasis on how your choices affect critical people. Saturn direct in your first house can feel like you're entering a new era of claiming authoritative power. Yes, it's another major growth spurt for you, which can feel like an acceleration of maturation due to increased responsibilities. But your ability to make a critical leap in more clearly defining your style, image, and willpower will gain prominence in the next few years. This month, Jupiter, the God/Goddess of expansion, abundance, and adventure enters its home sign on Nov. 8. Jupiter draws some attention behind the scenes but indicates that luck awaits you in learning to surrender to a higher power. Over the next year, you'll be gifted with the wisdom that letting go can make space for new things. Jupiter through Sagittarius can expand your faith and belief in something greater than yourself. No, this cycle doesn't equate to greater wealth or accumulation, but instead, it expands your capacity to go with the flow and trust life again. At first, that may not seem so fortunate, but within a year you'll understand just how precious this spiritually infused adventure is. Mercury turns retrograde this month, beginning Nov. 16 alongside Venus' direct station. First, Venus direct can bring poignant and beneficial agreements in the professional or public arena. For making a good impression, or resolving a point of conflict in your career life, mid-month is vital. Mercury's retrograde cycle begins a three-week cycle conducive for stepping back and reconnecting with your spiritual center. Look out for synchronicities, omens, and signs suggesting that you're enmeshed in a magical and mysterious universe. It's time to see it more clearly. 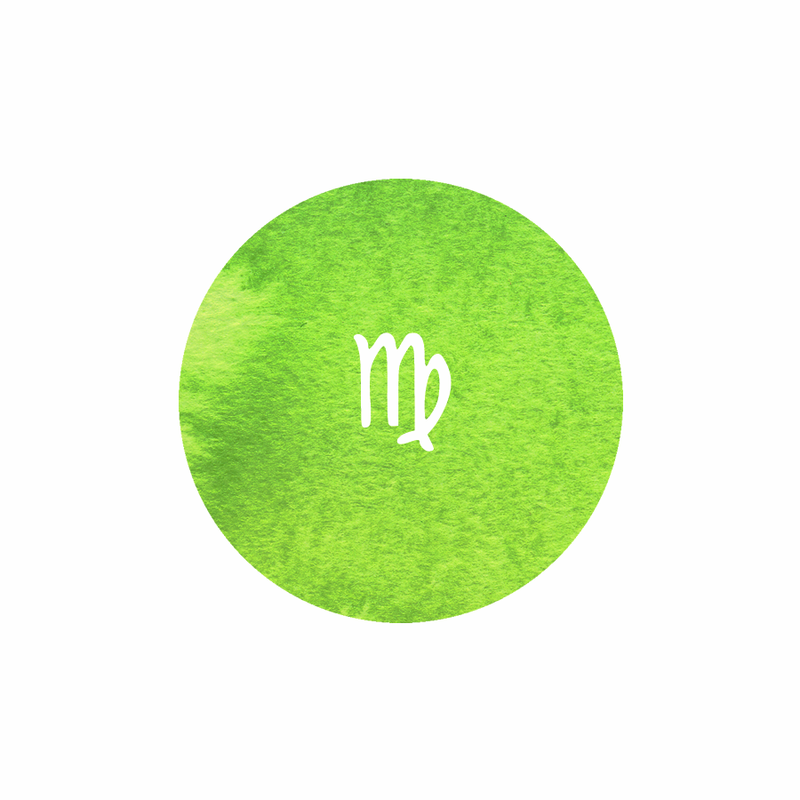 Mars has been transiting your rising sign since May of this year due to its retrograde cycle. Mars through Aquarius has probably not been a smooth integration, as you've been solidifying personal boundaries and working on self-assertion. Perhaps, you've discovered the limitations of your power and the true capacity of your strength. However, Mars finally moves on this month, entering Pisces Nov. 15. Mars will be in Pisces for the remainder of the year, adding increased enthusiasm, drive, and motivation for the acquisition of vital resources, money, and building of confidence. Earlier this month, Jupiter enters its home sign Sagittarius for the next year, beginning Nov. 8. Jupiter in Sagittarius can positively expand your social outreach, communities, and the organizations you're part of. If you're in need of new alliances and critical connections, new doors will open for you, gifting you with bountiful networks. Also, this is a cycle which can enlarge your dreams and vision of future horizons. Linking up with significant friends or acquaintances can inspire you to join with like minds and move toward a common goal. Mercury turns retrograde Nov. 16, beginning three weeks of goal revision and a reworking of your social networks and outreach. You may have some doubt or reservations about pursuing a plan, but utilize this time to more clearly redefine the logistics and essential contacts, and you'll have a clearer vision by early Dec. Lastly, the Gemini Full Moon Nov. 22 can be fun, playful, even sexually stimulating. Mars' square brings some tension/conflict, but as long you don't spend too much on a good time, you should try to indulge in some much-needed playtime. Your ruler Jupiter enters Sagittarius this month which begins a year of hopeful progress, especially in regards to your career path and public status. Following the New Moon in Scorpio Nov. 7, Jupiter entering Sagittarius begins a critical phase for bolstering reputation, public relations, marketing, and overall professional promotion. With Jupiter in its home sign, it invites you to make some bold moves and bigger bets, so don't settle for the safe or even comfortable routine. If you've been stuck in a stale or stagnant career position, Jupiter through Sagittarius can inflame dissatisfaction and help you see new doors and opportunities. It'll be up to you to ultimately open those doors, but anticipate that new paths will present themselves soon enough. Venus' direct station this month on Nov. 16 hands over to Mercury's retrograde cycle through Sagittarius (active the next three weeks). Venus direct in Libra can benefit any loan/credit situation, or deepen intimacy or sexual connection. If you haven't given much thought to making changes in a professional direction, Mercury's retrograde cycle can catalyze a shift in perception. Anticipate sorting through the logistics of how to implement career changes or adjustments to your professional image, brand, or style the next few weeks, ready for a more decisive launch forward after the New Moon Dec. 9. While your plan may not be solid this month, a surge of excitement takes over, so take the first steps in pushing your boundaries.